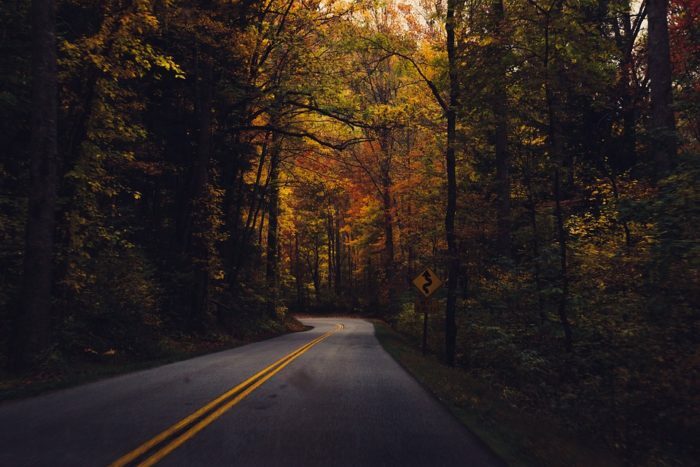 Autumn Driving Safety Tips – Stay Safe on the Roads this Autumn! Well it’s safe to say Autumn has come a little early this year! And many people are excited by this; however, Autumn can be a dangerous time on the roads! With the low sunrises and sunsets, that may provide you with a picturesque backdrop for your commute, but will also produce a lot of glare which creates a big hazard for you whilst your on the road. And on top of this, leaves will also begin to cover the roads, covering potholes, and will make stopping difficult. Autumn may be a colourful and cosy season, but as we’ve just mentioned, it can become quite hazardous on the roads during this time of year. To prevent you from having an accident this autumn, we have a couple of tips to ensure you stay out of trouble on the roads this season. Tyres in poor condition are dangerous at any time of the year, but especially dangerous during Autumn and Winter. With leaves covering the roads, and of course the rain, snow, and ice, which will inevitably make an appearance, you’re going to want to make sure you have as much grip as possible. It’s vital you check your tyres often, making sure they’re inflated, and that there is a minimum of 1.6mm of thread on your tyres – the more tread on your tyre has, the shorter stopping distance. The glare from the sun is bad enough at this time of year, so the last thing you need is for this glare to intensify due to a dirty windscreen. It’s important to make sure that your windscreen is clean, both outside and inside. To prevent your windscreen from getting dirty, it’s vital that you ensure that your windscreen wipers are clean, and that your washer fluid is topped up. If they begin to start to work insufficiently, and begin to constantly smear, you should strongly consider replacing them. Autumn months are peak times for road accidents that involve deer. If you spot one on the road, turn off your full beams, as they may cause the deer to freeze. Reduce your speed, and try to continue with your path, avoid swerving as you may lose control of your car, resulting in you hitting another car or crashing into a tree. Thousands of deer are killed every year in road accidents, so it’s important you stay vigilant, and if you spot a deer in the road, stay calm and don’t make any sudden manoeuvres. Of course it goes without saying, when it is dark, it’s important that your vehicle is lit up. Regularly check all of your car’s lights to ensure that they’re all working and that you replace any faulty lights as soon as possible. Being less visible will not only put other drivers at risk, but will also put you in danger as it impairs your ability to see what is ahead of you. With all the extra hazards on the road, you need to make sure you are able to see as much of the road as possible to avoid any accidents. What Happens If You’re Involved in an Accident? If you have been involved in an accident, you’ll undoubtedly be upset – but with a little help from Best Price Financial Services, you won’t be upset for too long! Being in a car accident can be an expensive ordeal, but if you take out Motor Legal Protection and Motor Excess Protection with us, your expenses won’t be as bad. We provide a quality, affordable alternative to purchasing cover with your motor insurer. When purchasing cover with us, you’ll get exactly the same peace of mind on the road, at half the price of your typical car insurer. Purchase your Motor Legal Protection or Excess Protection with us today!